Being an online retailer ourselves, here at Avery WePrint we understand the value that new customers bring to a business. In today’s world, where almost everything is online, high street stores are fighting back and using different marketing techniques to draw the customers away from their computers and back into stores. One of the best ways to do this is by promoting a sale. 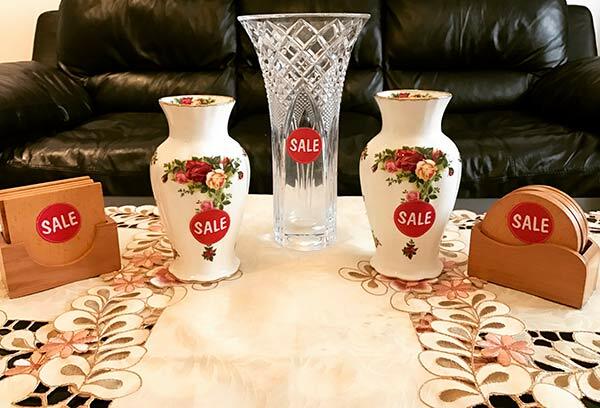 Whether you are a small boutique, retail outlet or a stand-alone store, a seasonal sale is a great way to bring in new customers or clear existing stock. 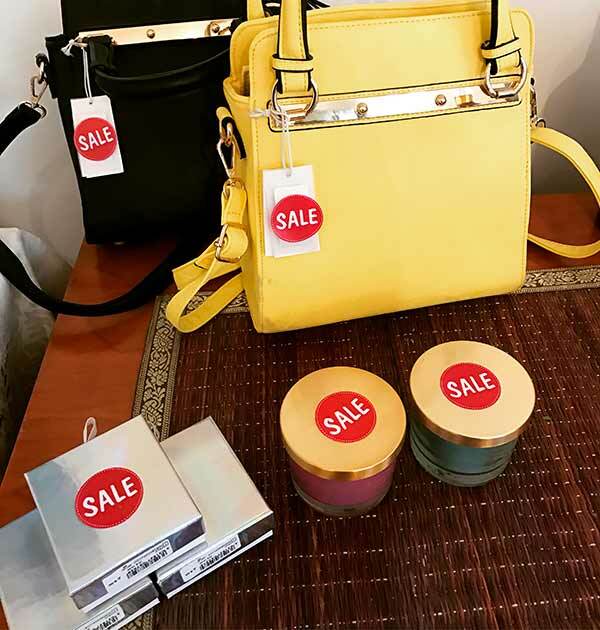 Whatever the type of sale you choose to have you need to make sure that your sale products are clearly marked and catch the attention of your customers. The easiest way to do this is to mark the items with a ‘sale’ sticker. We the huge range of labels available at Avery WePrint you’ll be able to find the right size label for your products. Our premium quality stickers can be used to design eye-catching sale stickers. You can use our design tool to easily create your design and then we print the labels and ship them straight to you. To help give your some inspiration for how you can promote your sale we have used our 40 mm round stickers to in a retail environment to show just how well a simple sale sticker can stand out. 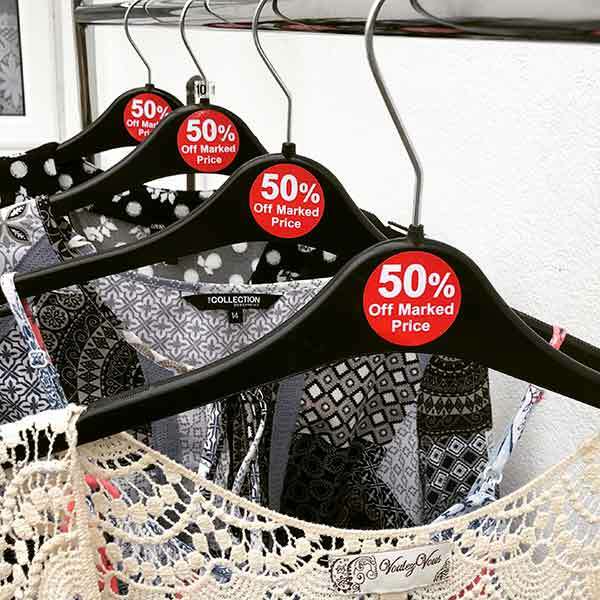 1)	High street boutiques can use customised labels on price tags can add a touch of branding for your sale stickers. 2)	Adding labels to hangers in clothing stores is a great way of marking products, without adding stickers to the product itself. They will also stand out on the rail and are more likely to catch the customer’s attention. 3) If you own an antique shop, by adding labels to products customers can clearly see what is on sale. This will also avoid any confusion if there are multiple products on a shelf or display cabinet. 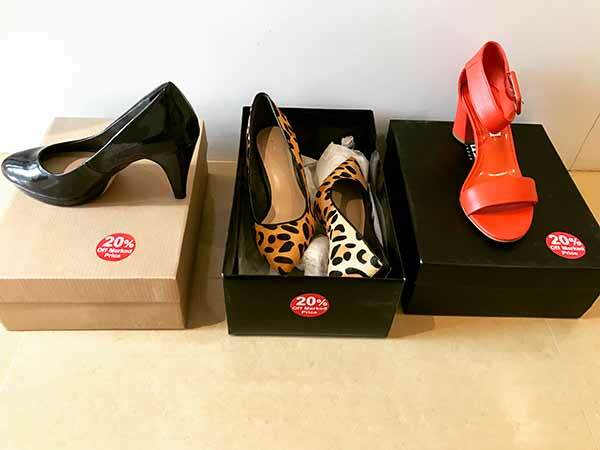 4)	Putting labels on plain packaging such as shoe boxes is a great way to promote a sale, these are sure to catch the attention of passing customers. Start designing your sale stickers now!